In this article, the authors argue that turnover correlations do not need to be corrected. First, they maintain that correction formulas cannot correct for poor construct validity. Second, they discuss the original purposes of turnover correction formulas. 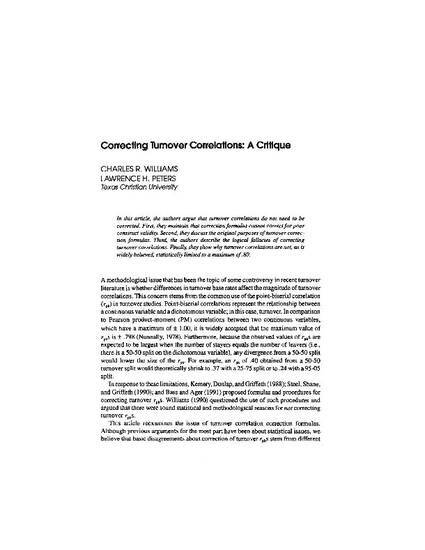 Third, the authors describe the logical fallacies of correcting turnover correlations. Finally, they show why turnover correlations are not, as is widely believed, statistically limited to a maximum of .80. This is a post-print version of an article originally published in Organizational Research Methods,1998 Volume , Issue 1.